Fire Risk Assessments focus on keeping people and premises safe and minimizing the chance of a fire occurring within set premises. The Regulatory Reform (Fire Safety) Order 2005 requires the responsible person to carry out a “suitable and sufficient” assessment of the risks on the premises. What form the assessment takes will be dependent on the type and size of premises or undertaking concerned. NHS Fire Risk Assessments are particularly complex due to the nature of the industry that requires extra care. At Global HSE Solutions, having previously worked with NHS clients, we understand the structure the NHS has and are willing to work around the industry’s needs. NHS hospitals are considered to be at an increased life risk due to patients populating the premises. The sleeping component is also considered, as a critical risk factor of the industry. 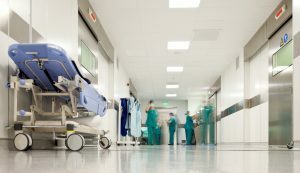 Global HSE Solutions will provide comprehensive Fire Risk Assessments to hospitals and surgeries, working around the industry’s needs, ensuring a safe environment for people and premises.